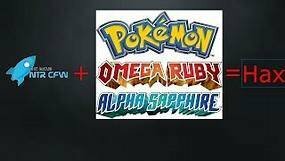 Post Pokémon editing programs here! Please use one of the sub-categories if applicable. 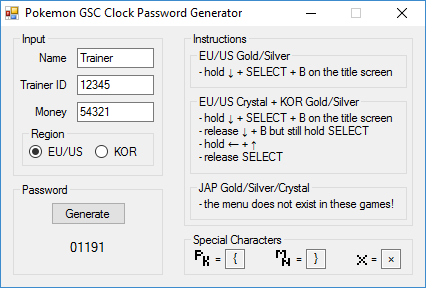 Generates a password to reset the clock in Pokemon Gold, Silver and Crystal. No additional hardware or software is required. Requires .NET Framework 4 or newer or a recent version of Mono. - JAP games do not have this menu! Note down the required values (Trainer Name, Trainer ID and Money) from your Trainer Card and enter them into the tool to generate the password. Then follow the instructions that are provided in the tool to access the hidden menu and enter the password. Once you entered it correctly you will be able to reset the clock when you continue your game.